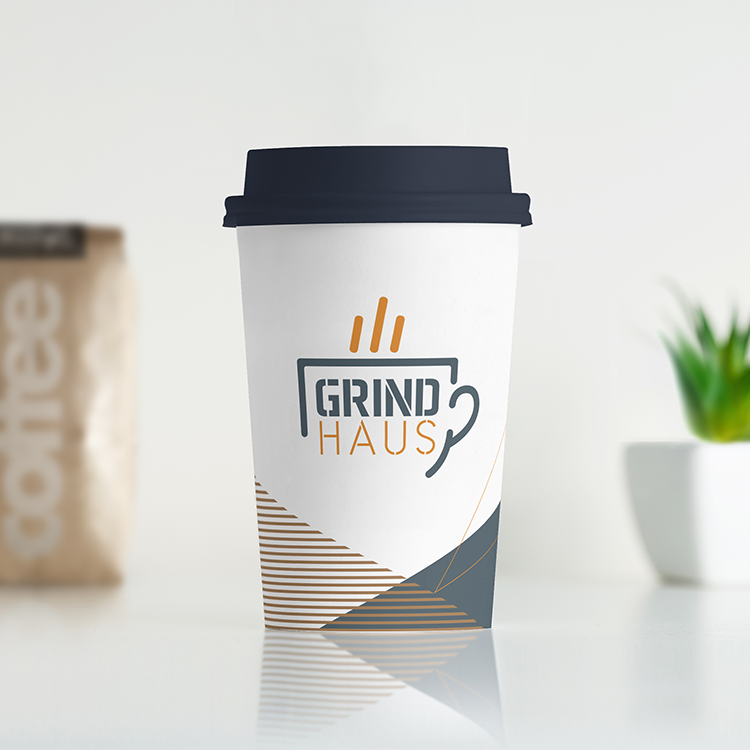 A co-work space in Texas approached me about creating branding for their internal catering area which they had aptly named Grind Haus. 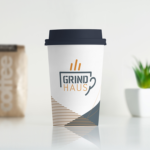 The focus would be on the coffee that would help co-workers get through the ‘grind’ of their daily work life. 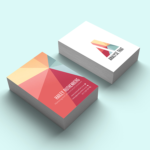 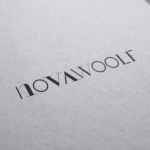 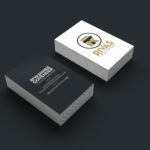 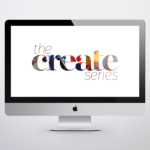 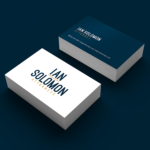 The logo needed to live within a similar space to their existing branding but be able to live on its own as well. 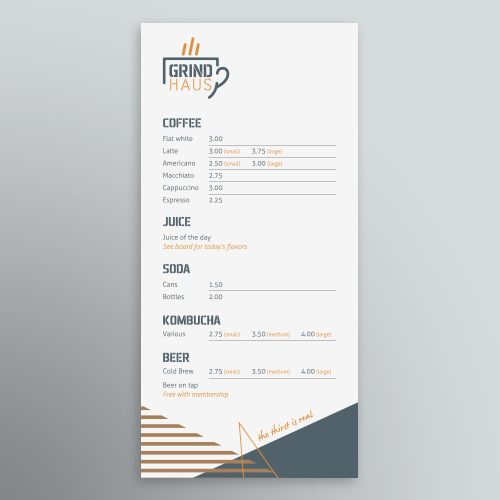 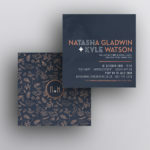 The job included coffee cup and sleeve designs as well as a menu design.